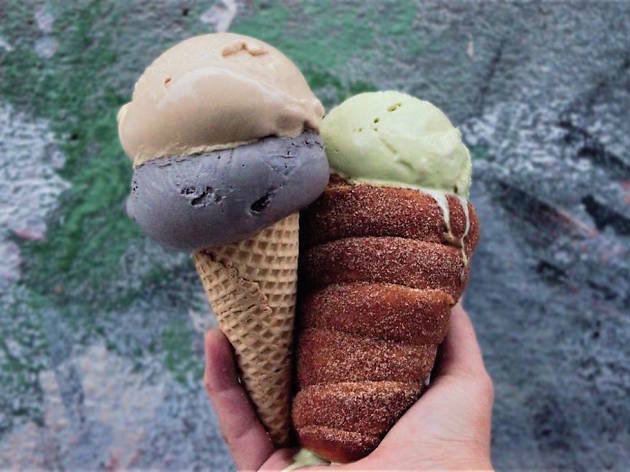 Hawaiian native Erin Lang started her ice creamery out of a food truck, churning daily-rotating flavors by hand from Straus organic dairy products. Since opening a proper San Francisco storefront, she’s expanded her repertoire, offering 24 daily ice cream flavors alongside popsicles and sandwiches. The ice cream is worth the trip, particularly the flavor-packed Strawberry on Steroids (made with Dirty Girl Farm’s berries) and butter mochi flecked with toasted sesame seeds. 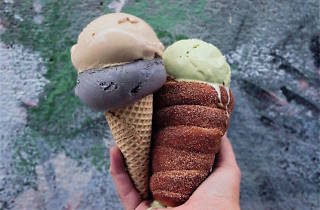 But the real draw is the fluffy chimney cones, a sugary cross between a croissant and a waffle cone.